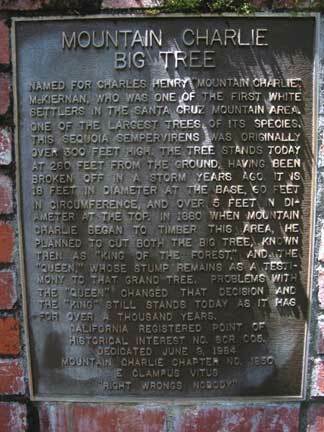 ECV1850 Plaque: Mountain Charlie Big Tree. 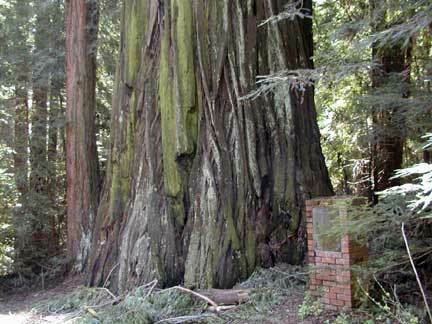 NAMED FOR CHARLES HENRY "MOUNTAIN CHARLIE"
SETTLERS IN THE SANTA CRUZ MOUNTAIN AREA. FOR OVER A THOUSAND YEARS. 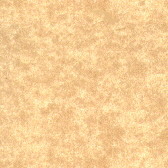 intersection of Glenwood Drive and Main Blvd. near the bus shelter, heading north. 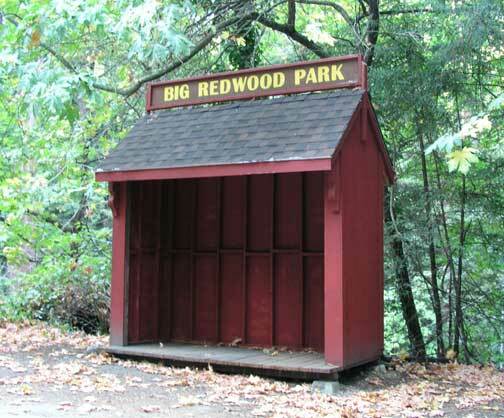 From the "Big Redwood Park" sign, walk accross the highway. 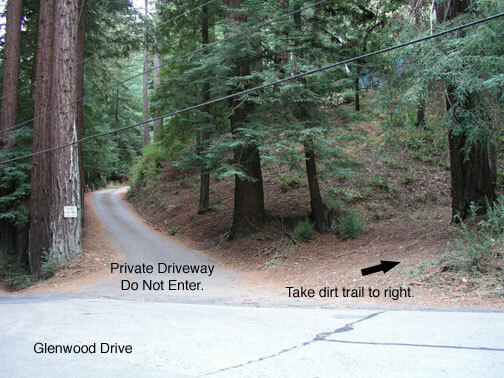 You will see a paved private driveway leading uphill towards the left. Please do not go up there or disturb the residents. 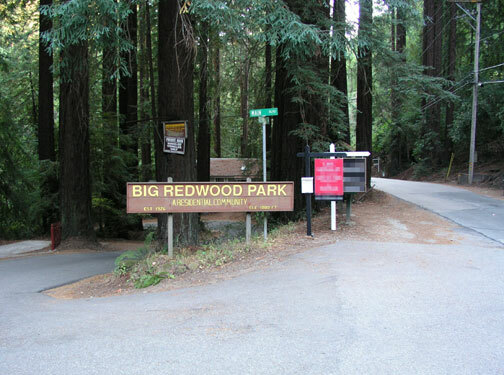 Instead, take the small unmarked dirt trail leading towards the right. is about 450 feet up this trail from Glenwood Drive. and the circle of new trees which are growing from it. touch the Poison Oak plants growing alongside it. Remember: "Leaves of three... Let it be!"